The coffees are graded when they’re still green coffee beans, before being roasted. Any individual coffee tree may produce all grades of coffee, from E through C, which are then sorted by size. This is done for roasting consistency, since beans of a similar size roast at a similar rate, whereas different sized beans will roast unevenly (eg. smaller ones will over-roast, larger ones will under-roast). The Kenya coffee grading system doesn’t affect the quality of a coffee – this is done by “Class” instead. Kenyan coffees also receive a “Class” ranging from 1 (worst) through 10 (best) to help further sort coffees within a grade. Kenya E coffee beans, also called Elephant grade coffee beans, which consist of the largest Kenyan coffee beans. These E grade coffee beans are taken from coffee cherry (fruit) in which two coffee seeds are joined in one cherry (a genetic defect). When these seeds part during handling there is a noticeable “ear” on each seed. Also included in the Kenya E grade are the large Kenya PB (Peaberry) beans and very large (bold) Kenya AA beans. Kenya PB coffee beans are peaberry coffee beans, with one single coffee bean within the cherry rather than the usual two half-beans. Approximately 10% of Kenya coffee beans are peaberry. Kenya AA coffee beans are grown at elevations higher than 6,600 feet above sea level. Kenya AA is considered to be one of the world’s finest specialty coffees. Some Kenya AA coffees are light-bodied yet still very bright and exhibiting a floral aroma. Tones of passion fruit and wine are often present, and this is almost always balanced by an acidity that is crisp and refreshing, one of the reasons this is one of the world’s finest gourmet coffees. Kenya AA in particular is known for its piquant quality, a secondary coffee taste sensation producing a mostly sweet sensation (perhaps prickling) on the tongue tip. See Kenya AA Coffee for a full flavor description. Kenya AB coffee beans consist of both A and B coffee beans. The A grade is sorted using a 6.8 mm screen while the B grade is sorted using a 6.2 mm screen. These two types of beans, A and B, are mixed together to form the grade Kenya AB. Though not as highly-valued as Kenya AA, Kenya AB is also popular and rates as a premium coffees. Typically the Kenya AB grade is the most plentiful in a particular consignment and is used as a representation of the other grades. 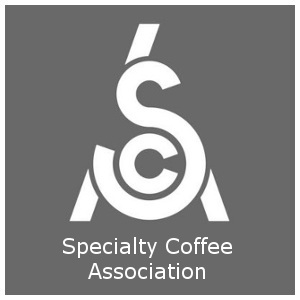 Kenya C coffee beans consist of thin coffee beans from Kenya B grade, while Kenya TT coffee beans are the result of using air extraction to sort out the light density coffee beans from the grades Kenya E, Kenya AB, and Kenya AA coffee beans. Kenya T coffee beans consist of broken, faulty, thin, and small coffee beans or chips of coffee beans from the Kenya C grade. Lastly, Kenya MH/ML coffee beans are about 7% of the Kenya coffee crop. These are coffee beans that either fell from the coffee plant on their own subsequent to ripening, or were simply not picked. MH/ML coffee beans are usually noticeably sour. 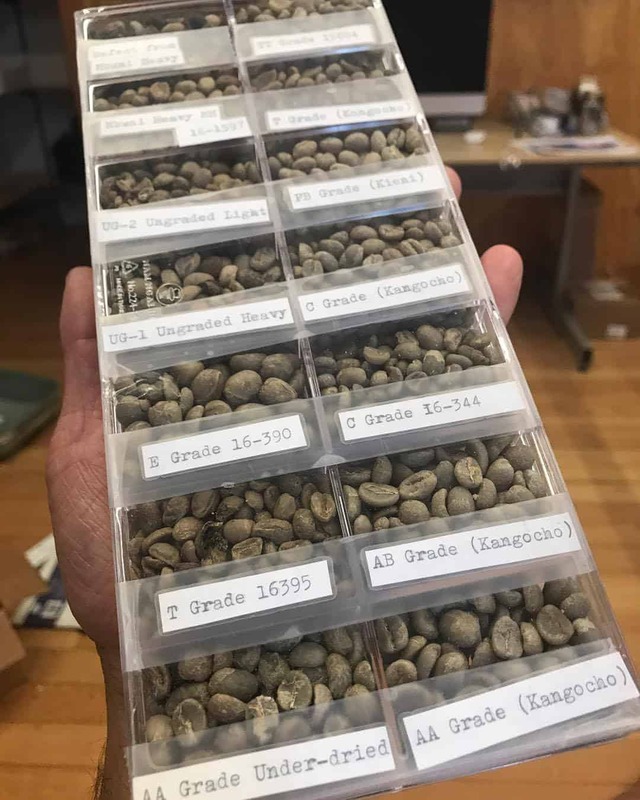 See the individual entries for each Kenya coffee grade (e.g., Kenya AA) for more detailed specifications of that particular grade. Sounds like a lot? It's actually 0.5% of the coffee grown worldwide.